Truthfully speaking, this list varies for a lot of different people because it depends on what they use their Fedora system for. As regular desktop users, there are a couple of things (almost) everyone needs. We will try to cover those basic necessities here. You should know that the instructions below require a working internet connection to follow. It will take a while to upgrade your system and it depends largely on your internet speed. Having upgraded your system, the next thing to do is install software in it. Fedora’s default repository has loads of software that are available for installation but there are a lot more software that are not included in it. These software are available in separate RPM Fusion repositories. There are two RMP Fusion repositories, free for open source projects and nonfree for proprietary software. We advise you to add both RPM Fusion repositories in order to have an overall experience. Fedy is a graphical tool with which you can install numerous programs not provided by Fedora in a single click. This is similar to the Ubuntu After Install tool. Here, you are provided with a list of available programs in Fedy and all you have to do is choose the ones you want to install by clicking on the Install button. Fedy also informs about the license of the software. So, you can see if its GPL, MIT or proprietary and make a decision about installing the software (if you care deeply about running only open source programs). Of late, TLP has been our favourite tool to improve battery life and reduce overheating and you can install it once and experience its impact almost immediately. There is no need to bother yourself with configuration settings, everything is automatic. Many have discussed the impact that ‘blue light’ makes on our sleeping habit. The fact that computer screens are not our eyes’ best friend is no secret, especially in non-natural lights at nights. No configuration is needed. It automatically detects your location and after the sunset, it turns your screen red-ish. It is very surprising how Fedora doesn’t come pre-installed with an office suite. 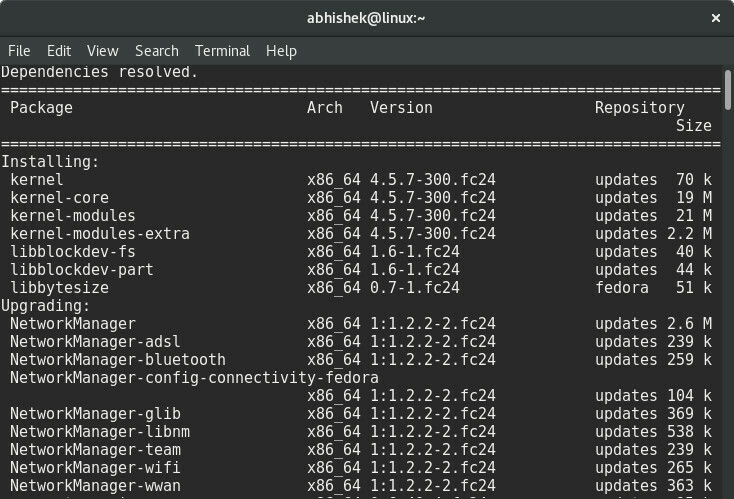 It’s one of the reasons other Linux distros based on Fedora are getting popular these days – their better experience out of the box. 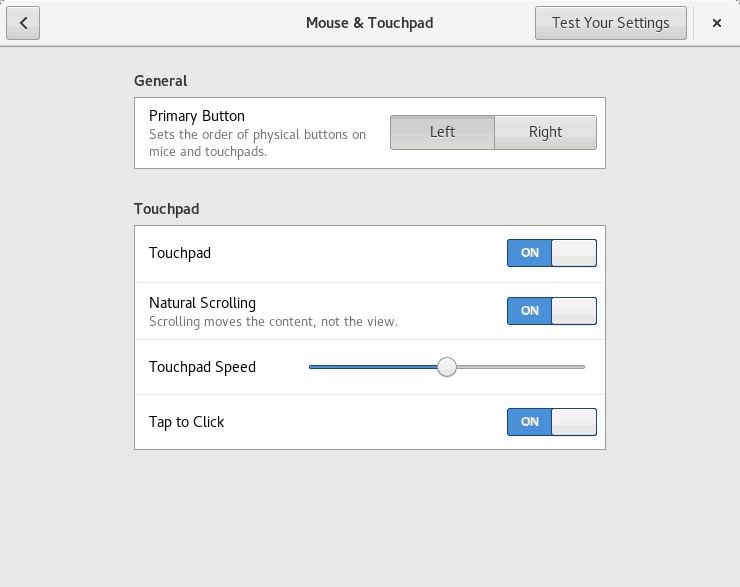 Why the tap to click is disabled by default in Fedora is a mystery to us, but it is not really friendly to use the left click on the touchpad. A click should do the work. 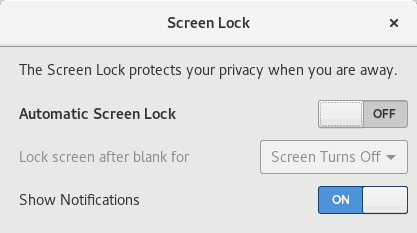 The best tool for the purpose of tweaking your system’s looks and appearance is the Gnome Tweak Tool because it will let you change a range of settings in GNOME. 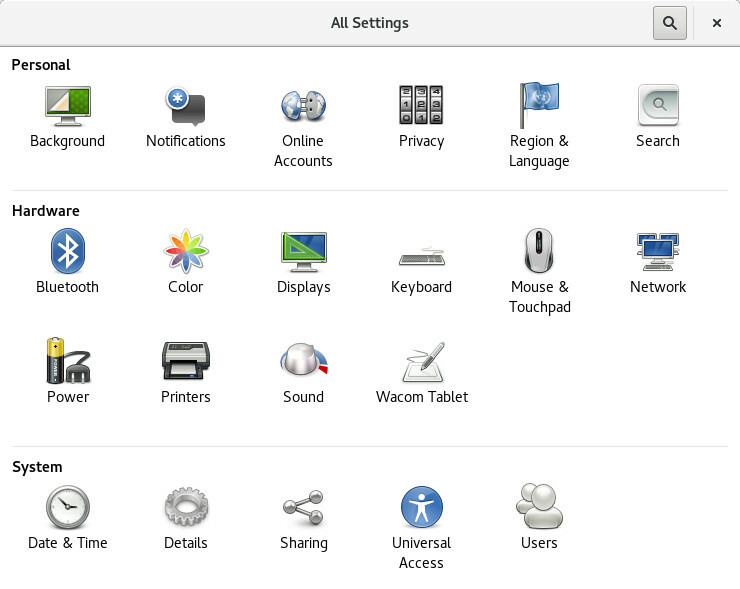 No matter how good your default system looks, it can always be madeto look better and you can use Gnome Tweak Tool to change the icons and themes easily. 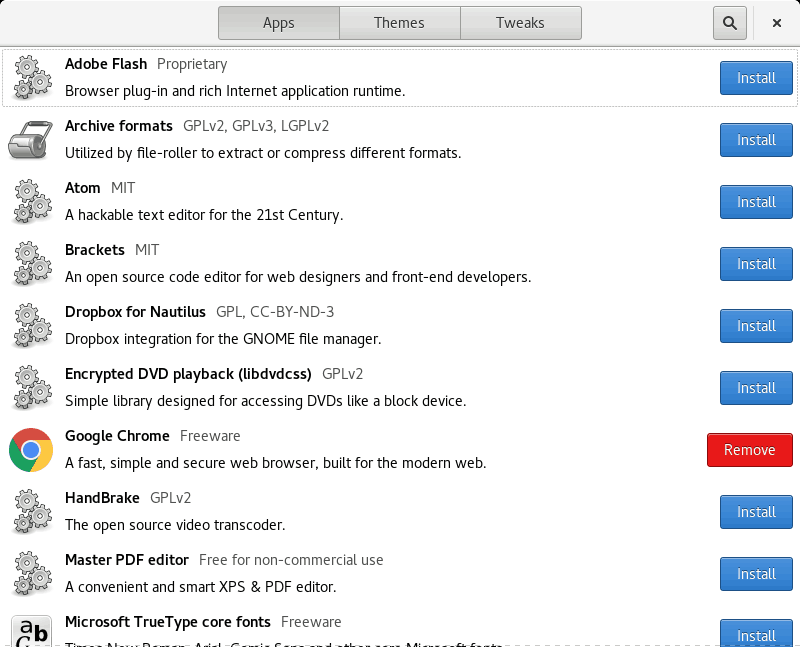 You can search for more useful applications in the GNOME Software application. This was our own recommendation, tell us what you are going to do, or what you already did after installing Fedora 24 in the comments section below.